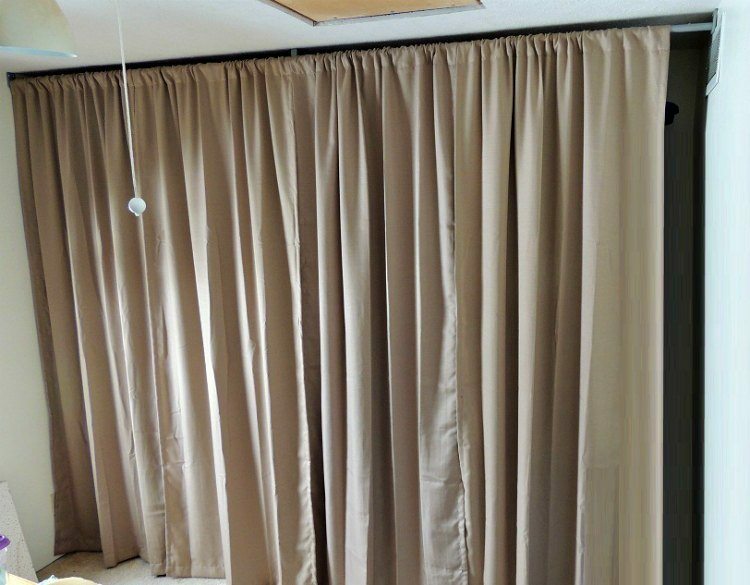 The Final Cover Up:Between two Target stores in Omaha I found four 96″ length beige panels for $8.00 each on clearance. I was planning on making button tab panels so we’d not have to remove the rod but at that price it was worth the trouble. Above is the finished storage “closet” before I got the steamer out. This allowed me to have my much needed storage, yet plenty of room for our grandson to play in his new bedroom, all for around $237.00, including tax.